The idea of poetry being an actual career seems laughable in a country where the vast majority of performing artists are struggling to get by. And poetry is more of a niche market than most. 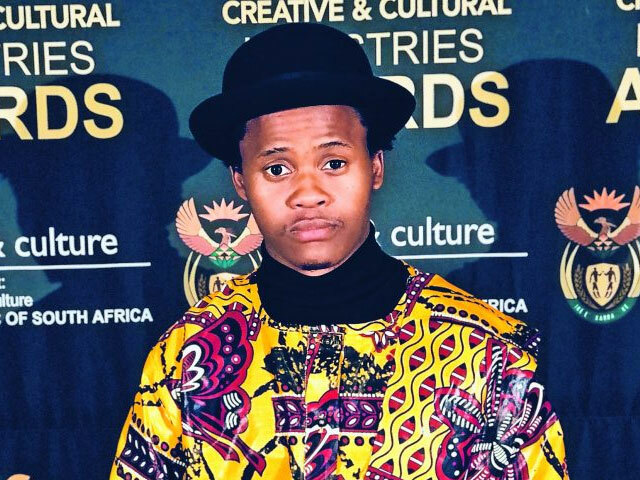 Which means Vus’umuzi Phakathi has set himself a serious challenge in aiming to make poetry a paid profession. To do that, poets must treat themselves as a brand, and understand that they are making the decision to start a business. Phakathi has worked as a poet for 13 years and receives feedback from people telling him how much his work has affected them. Some say it saved them from suicide, saved their marriage or helped them find their own purpose. “I write and perform because it keeps me alive, and it has proven to give those that receive it life as well,” he says. He has performed at numerous festivals and events, toured southern Africa and represented South Africa at the Individual World Poetry Slam in Washington. His discography includes The Abandoned Archive Of Romeo The Poet, The Testament Of The Poet and A Second With God. The Testament of The Poet won him the Best Poet prize at the 5th SABC Crown Gospel Awards. Much of his focus is now on business. He co-founded Current State Presentations (CSP) to run free workshops in partnership with Joburg Theatre Youth Development, teaching novice poets from disadvantaged communities how to write, perform and run a business. Through CSP he has also facilitated workshops in high schools and in Botswana and Swaziland.